Na wa ooh, him don reach like this? 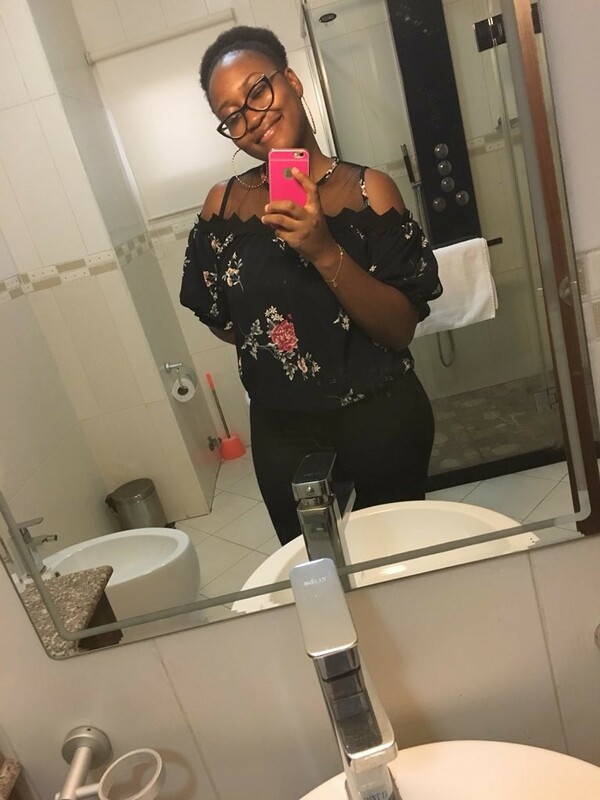 Pretty Nigerian Lady who is apparently tired of her single life took to twitter to express how vacant the role of a boyfriend is in her heart and how she is in dire need of a boyfriend. 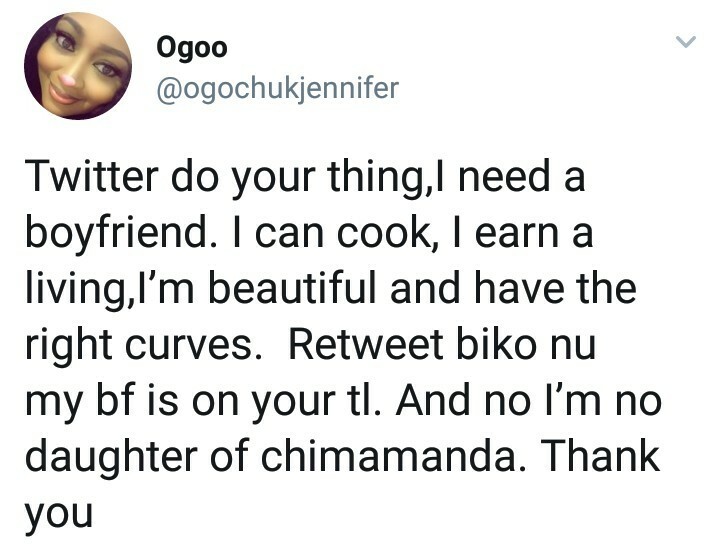 "Twitter do your thing, I need a boyfriend. I can cook, i earn a living, i’m beautiful and have the right curves. 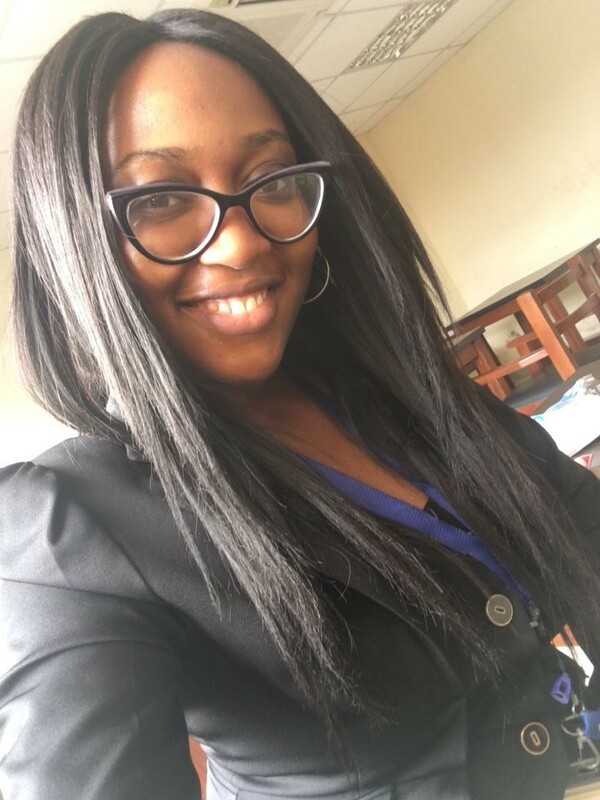 Retweet biko nu my bf is on your tl. And no i’m no daughter of chimamanda.